USA Today bestselling author Peggy Webb has penned more than 80 novels and is the most prolific writer the state of Mississippi has ever produced. This beloved and iconic author writes in multiple genres under multiple pen names. 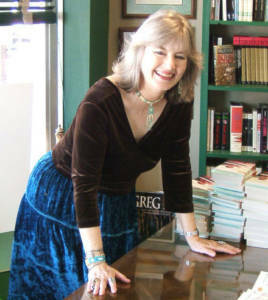 As Peggy Webb, she writes romance, women’s fiction, suspense and cozies. Her popular Southern Cousin Mystery series earned her the title “comic genius” from her peers. She writes historical suspense as Anna Michaels. Her novel, The Tender Mercy of Roses, earned accolades and garnered a quote from the late, great Pat Conroy, who called her work “astonishing.” As Elaine Hussey, she writes literary fiction. Her novel, The Sweetest Hallelujah, was compared to To Kill a Mockingbird.